The Pelican Harbor Seabird Station is hosting their annual fundraising event and celebrating their 40th anniversary on April 13, 2019 at the Miami Shores Country Club. 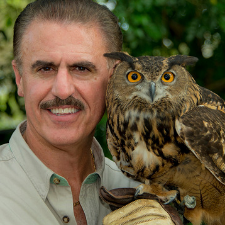 Zoo Miami’s “Goodwill Ambassador”, Ron Magill will be their special guest and the event will be hosted by Local 10 News anchor, Jacey Birch. Walk the red carpet, enjoy fabulous food, music entertainment, and our popular silent auction, all to help protect injured wildlife while enjoying a fantastic evening! Join elected officials, philanthropists, and diverse members of the community who come together each year to celebrate and support PHSS. Tickets are on sale now at our “early bird” pricing which will end on February 28, 2019! Early Bird General Admission is $150 per ticket. For an extra special evening, our Early Bird VIP tickets are $225 and include access to our pre-party Champagne Reception with unlimited champagne, passed appetizers, additional entertainment, and early access to bid on silent auction items.